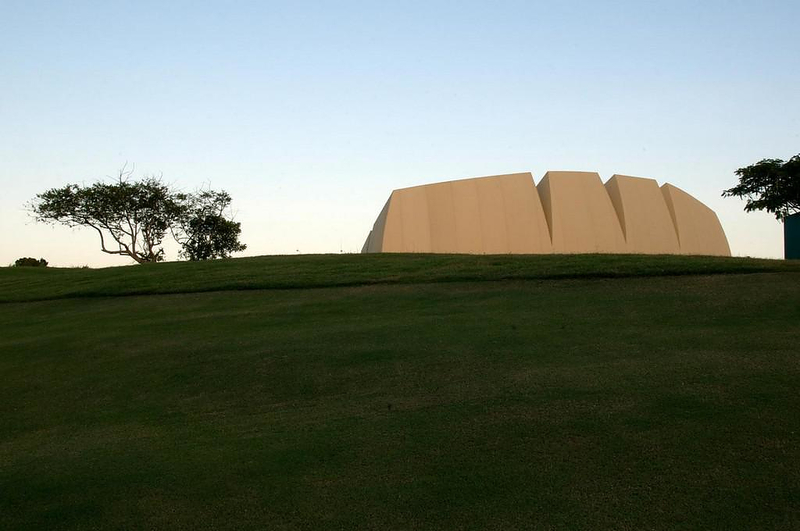 HomeBlogArchitectureMozarteum Brasileiro Theater by Valentiny HVP Architects. 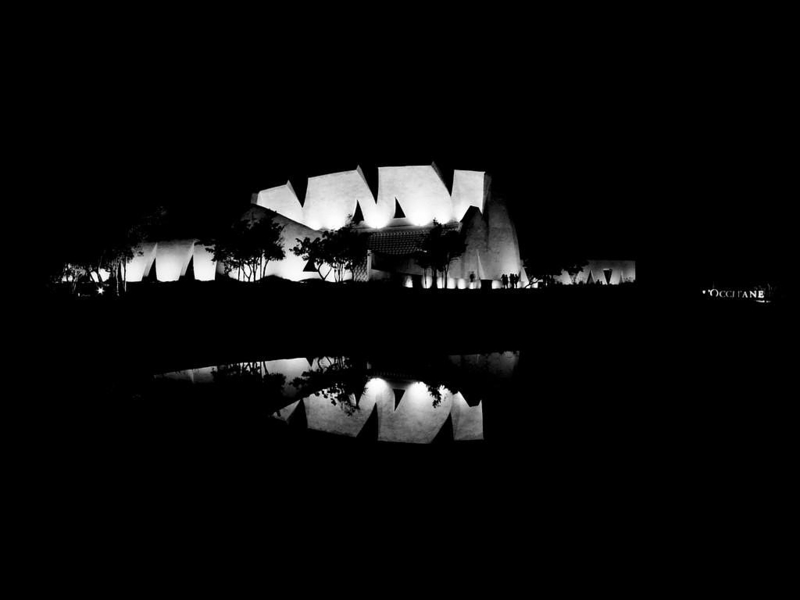 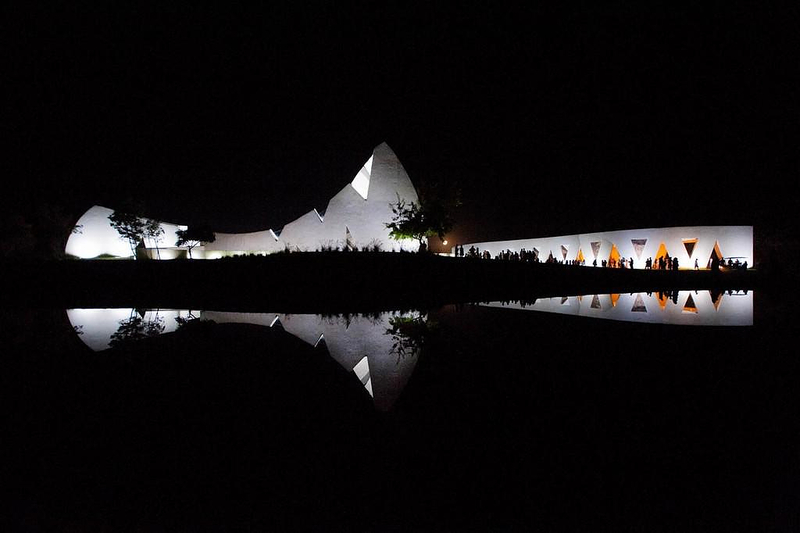 Valentiny HVP Architects realized the Mozarteum Brasileiro theater in order to house an annual musical festival of the city of Trancoso in Brazil. 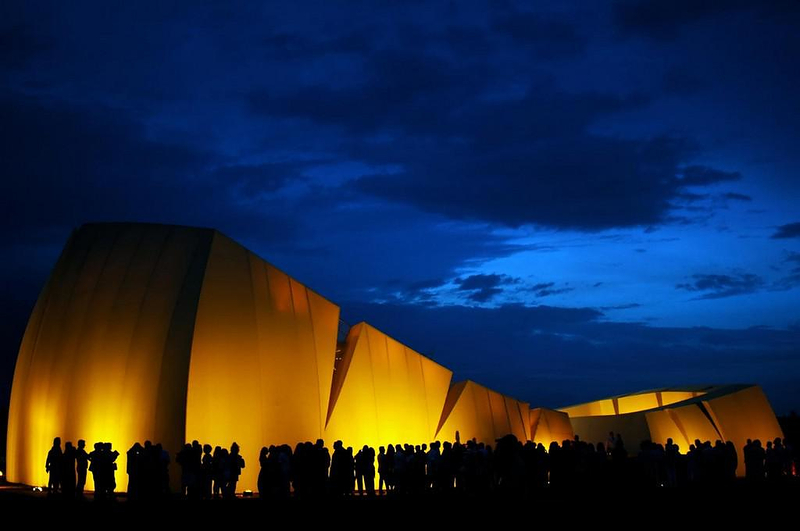 Brazilian architecture is in general known for its heavy, monumental architecture. 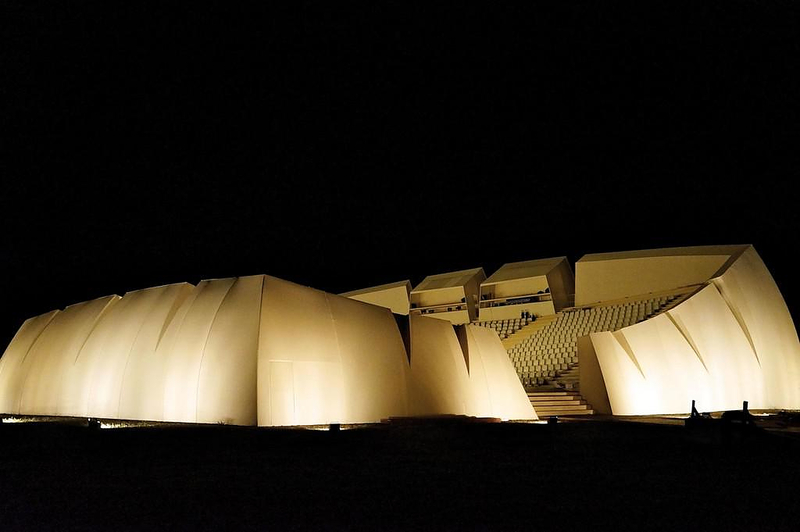 The based in Luxemburg architectural firm seems to have respected this tradition by realizing a “heavy” shell like concrete building. 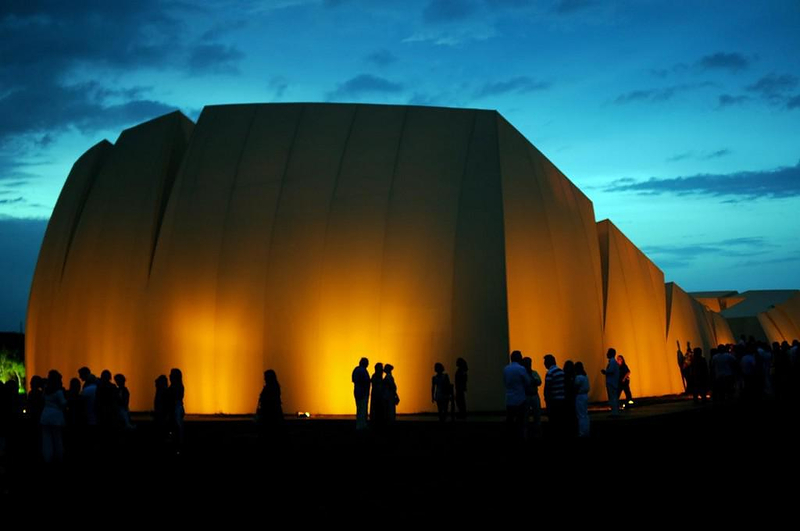 The annual musical Festival housed in the Mozarteum Brasileiro Theater is simply called “Música em Trancoso” and the architects of the Valentiny HVP have a special relation with the specific event. 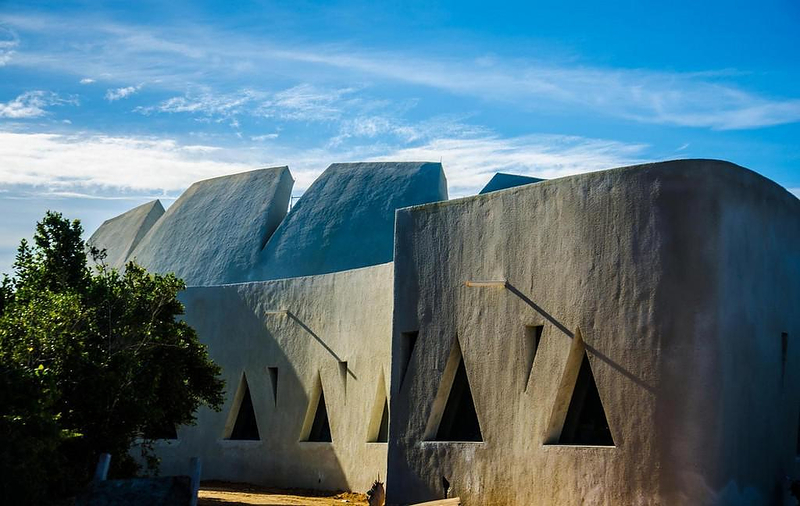 Actually, François Valentiny is the founder together with his associates Sabine Lovatelli, Reinold Geiger and Carlos Eduardo Bittencourt. 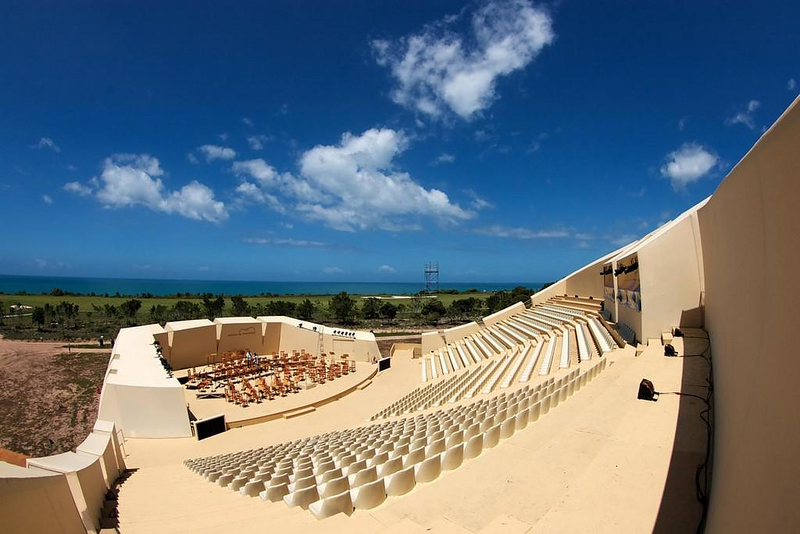 Due to their devotion the Music Festival of Trancoso will have an exquisite space for both indoor and outdoor events. 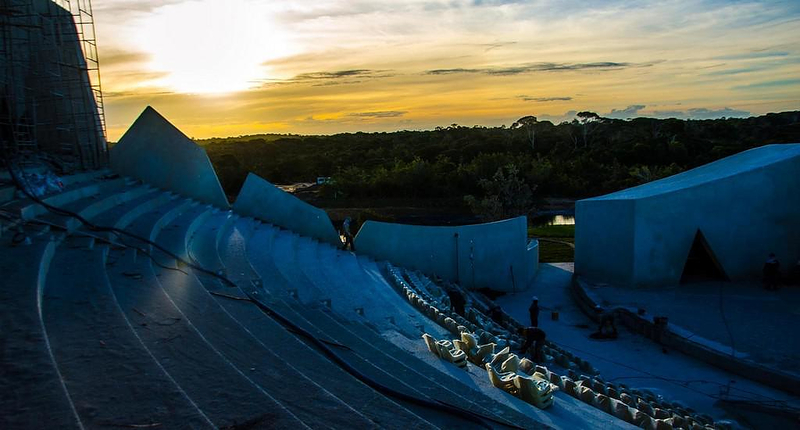 The basic characteristics of the design is its curved almost monolithic form that surrounds two auditoriums for up to 1,100 people each. 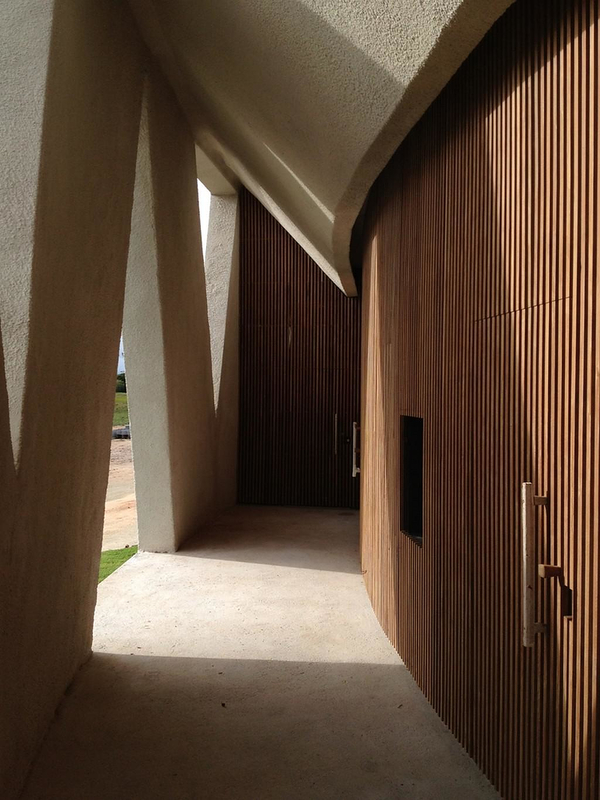 The access to both spaces is through the triangular openings curved on the exterior wall surface. 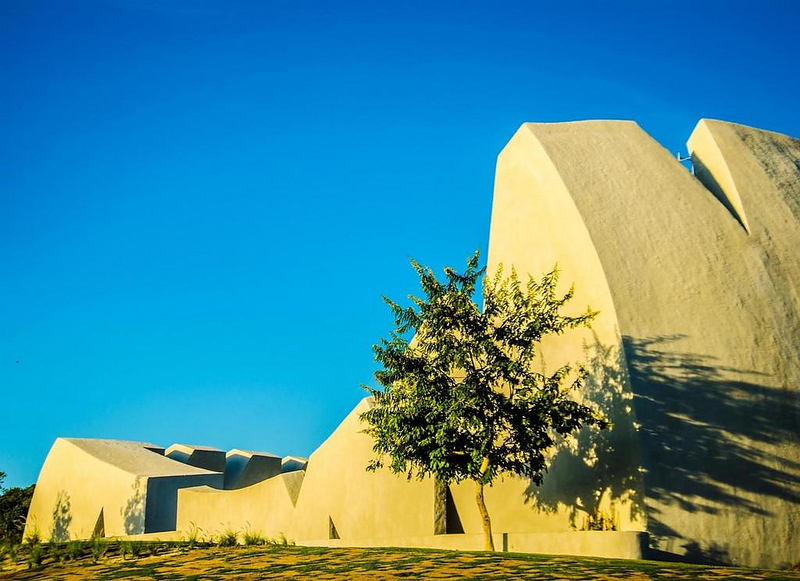 Separately from the theater there is a smaller building that includes additional necessities and uses, as rehearsal rooms, meetings and coffee places, and all necessary facilities. 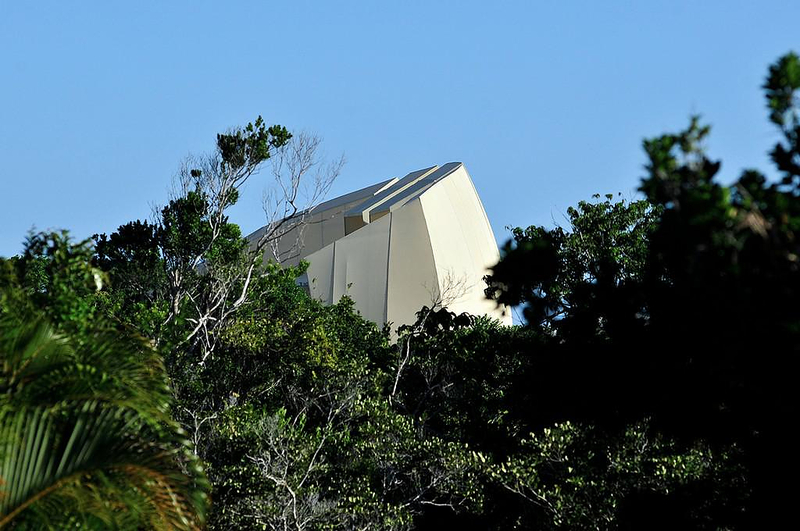 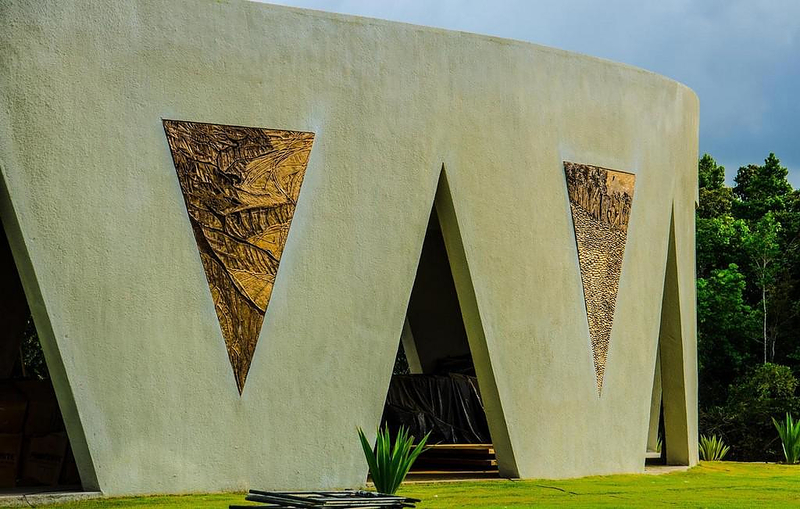 The triangular openings are equipped with engraved bronze panels that were created by Brazilian artist Maria Bonomi. 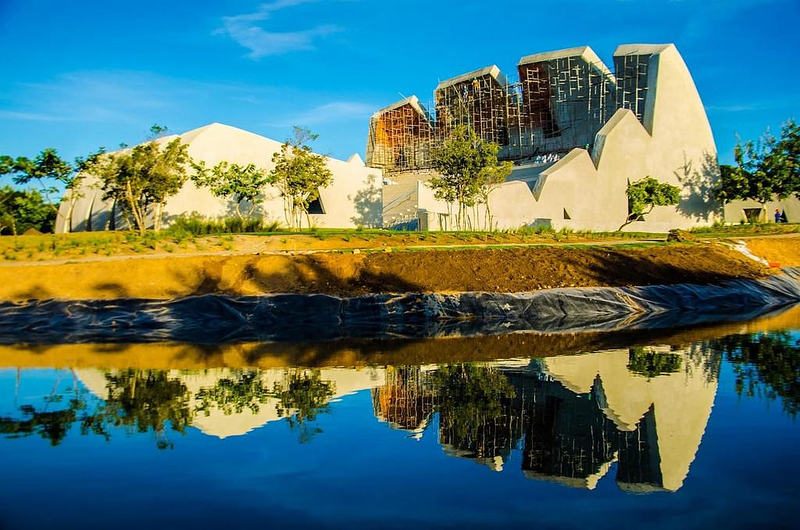 They engravings are details that complete harmoniously the building and enhance the main idea of the design the engraved Brazilian artifacts, the “engraved” Brazilian landscape of steep rocks and the birth of the Brazilian nation.